With the onset of a more conservative political climate in the 1980s, social and especially labour history saw a decline in the popularity that it had previously enjoyed. This led to much debate on its future and function within the historical discipline as a whole. The most constructive proposals have suggested that labour history in the past concentrated too much on class and that other identities of working people should be taken into account such as gender, religion, and ethnicity. In this volume some of the leading European historians of labour and the working classes address these questions. Two non-European scholars comment on their findings. 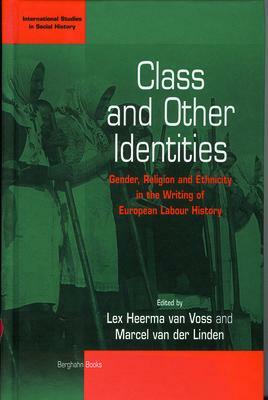 The volume is rounded off by a most useful bibliography of recent studies in European labour history, class, gender, religion, and ethnicity. Lex Heerma van Voss and Marcel van der Linden are Fellows of the International Institute of Social History, Amsterdam. Marcel van der Linden is also Professor of the History of Social Movements at Amsterdam University and the editor of the International Review of Social History.